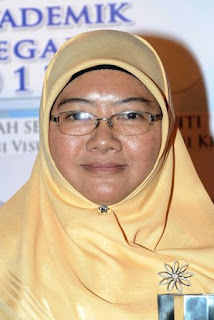 Rahinah Ibrahim, then a Stanford grad student, now a professor of architecture in her native Malaysia, was placed on a no fly/terrorist watch list in 2004. She was prevented from returning to her studies or even visiting the U.S. Her U.S. citizen daughter was also caught up in the ban. Federal lawyers fought tooth and nail against her lawsuit to challenge her designation. Agent Kelley misunderstood the directions on the form and erroneously nominated Dr. Ibrahim to the TSA's no-fly list [redacted]. He did not intend to do so. This was a mistake, he admitted at trial. He intended to nominate her to the [very long redaction]. He checked the wrong boxes, filling out the form exactly the opposite way from the instructions on the form. He made this mistake even though the form stated, "It is recommended the subject NOT be entered into the following selected terrorist screening databases." Though the government gave up its defense of its no fly list mistake, Ibrahim remained excluded from the U.S. (possibly because of unproved allegations about her husband) and her attorneys were only partially compensated for the $3.6 million they'd spent preparing this complicated international case. Last Wednesday an appeals court said the government should be ordered to pay up. The U.S. 9th Circuit Court of Appeals, in an 8-3 ruling, found that federal lawyers engaged in “scorched earth litigation” for nearly a decade against the former Stanford University graduate student, even though they knew she posed no threat. “Once the government discovers that its litigation position is baseless, it may not continue to defend it,” Judge Kim McLane Wardlaw, a Clinton appointee, wrote for the majority. ...Let's hope this brings us near the completion of this particular panicked government response to the 9/11 terrorists attacks. In the early '00s both politicians and federal spooks were scared stupid that additional horrors might be immanent and defended themselves from responsibility by trampling over vulnerable individuals. I wonder if federal judges confronted with an outright racist president, his thuggish Heimat Security Department, and a neo-Confederate Attorney General (now cast aside), are more alert to abuses that they tolerated for a decade under weak "national security" claims? Perhaps....Full disclosure: Erudite Partner and I were told at the San Francisco airport that we were on the no fly list in 2002. Through the ACLU, we sought disclosure about this secret list in a federal case that dragged on through 2006. My husband found himself on one of those lists back then-- with a name that is Irish or Scottish. It was a nuisance but he always could fly juat took longer. The odd part was some airports would have him on their list and some not.